The below article provides all the drone flying tips, drone safety tips and drone beginner tips where one can avoid crashes by knowing all the capabilities and limitations of the particular drone. Basically, it’s very important to get familiar with the drone device of yours and it’s manual. Beginners to fly a drone initially find skies to be less friendly. UAVs are more advanced, cheaper, and more varied in design and model from one device to another device. Drones usage is increasing day by day in all the fields and they are used in many different applications. In the excitement of purchasing a new drone, don’t get rush into flying the drone straight away to takeoff, know each and every button’s functionality and have a good understanding of how drone reacts to the remote controller. Before flying your drone into the sky you should know well about your drone through these drone flying tips. So that you can avoid crashes and be responsible for the safety of others, yourself and your drone. After you understand the limitations and capabilities of your drone, make a safe test flying and practice some initial exercises of your drone before you start using it for your purpose. 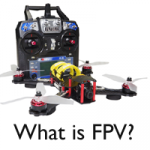 Take advantage of all free online resources for still better understanding of your drone. Drone flying rules help you to know how to use a drone without crashes. Below listed are some drone beginner tips, drone safety tips and a drone flying laws or tips help first-time drone users prepare for their adventures. It’s a rule that all the new users of a drone having weight more than .55 Grams and less than 55 pounds should register with FAA’s new Unmanned Aircraft Registration system. The process is not so burden and can be done through online. The cost of registration may be around $5, but it can be applied to an unlimited number of drones which is valid for 3 years. They will provide you with a personal registration number in the mail which can be used to mark all of your drones. If you’re the owner of a bigger drone then you have to use FAA’s paper-based system. Each drone is unique so the best way to know about your drone is to read the manual provided to it and know each and every particular about your drone. It’s important to know setting of your drone parts and remote control system and first take it for the test drive in the empty place before using it. Understand each and every part of your drone carefully by reading the manual. Even you have FAA with all the authorities over the drone, it is better to know the drone flying laws of your state to avoid less than a fun argument with law enforcement. If some police officer enquires about your drone show them FAA registration number of your drone and be polite always. With the help all this you can fly your drone safely and have the fun of it. All the places in your city may not be allowed to fly the drone, it is better to know the places which are legally allowed for the drone to fly in your city. Some areas are restricted and may not be safe to fly the drone. Do not take your drone to the crowded areas. Usually, drones are banned in large public areas and events. The most common thing is that people get distracted while flying the drone which leads to crash their drones. Not paying attention will sometimes lead to a fatal collision. So stay very cautious when flying your drone. Beginners should practice flying the drones without GPS technology. Because if GPS fails while flying you may lose control of your drone aircraft. Drones are known to “escape” due to GPS malfunctions, software glitches or may lose connection to controllers. People don’t realize the failure of technology and may not be able to stop their device. UAV’s manual mode will be quite too difficult instead work on “attitude” mode of your device which provides you more control but with some restrictions. Attitude mode of your drone will need to add the exact measures to keep the drone in a certain position in the sky. Birds are likely to harm the drone than any other way in the sky. If your drone weighs less than 55 pounds without exposed blades then there are chances to harm the birds. The simple method of avoiding the collision with the bird is to turn off the VPS that is Vision Positioning System of your device. Animals can hear different frequencies than human. Be careful that the weather changes while flying the drone. Do not fly the drone in bad weather conditions like heavy rain, fog, lightning, snow, or any strong wing. Very cold temperature shows the impact on the performance of drone’s battery. It is better to preheat your battery to 20-C during the winter season. Always be aware of the drone’s battery that is having enough charging for the drone to return safely. Drones flying against the wind consume more battery than flying down the wind. Don’t be very harsh in controlling, push the control stick slowly in order to avoid sharp movements. This allows you for making an adjustment with enough time and reduces the number of crashes occurring. 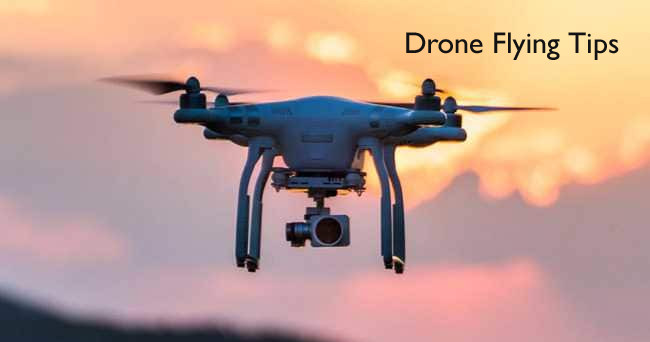 Do not fly reverse direction; specifically when drone flying out of sight, in this case, it is better to fly in the front direction, so it avoids collision with unseen items. Practice makes very perfect. Don’t forget to inspect the drone regularly and store it in a safe and proper place. All of the above are the drone flying tips and tricks for drone beginners, drone flying tips and drone safety tips will help you to gain better knowledge in using a drone with high capabilities and with high efficiency. Visit regularly, for more info on Best Flying Drone.